Do you want to work on the most beautiful kite beach of the Netherlands? Do you want to work in an enthusiastic close team on the most beautiful kite beach of the Netherlands? 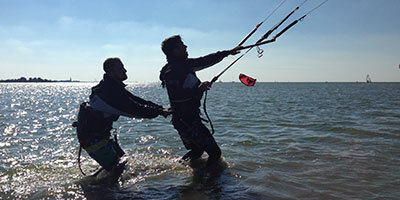 Do you want to share your passion for kitesurfing with your students? If that the case, you are the kitesurf instructor we are searching for! Sky High has been active for more than 14 years on the beach of Workum. The shallow and flat water make it the best surf spot of the whole Netherlands. Within our company we find it very important that the working atmosphere is good, that there is a good collaboration and that you’re having fun in doing your job. Are you a social, enthusiastic, hardworking person who is flexible in terms of work and a real team player who likes to teach customers the tricks of kitesurfing?